On the roads of Orlando and throughout Central Florida, limousines are common. They are an impressive sight, often carrying celebrities unseen behind shaded glass. They are also extremely awkward, taking up the space of several normal sized cars, but not as high and visible as semi trucks. Drivers must be extremely skilled, particularly when driving through downtown Orlando or in other tight spaces. When they make a mistake and their act of negligence causes an injury, limo drivers and limo companies should be held responsible. At The Umansky Law Firm, our Orlando attorneys represent other drivers and limo passengers who were injured due to a limo driver’s negligence. If you have been injured, you deserve compensation, and we are committed to getting it for you. Contact us to schedule a free initial consultation with an auto accident attorney. If you were involved in a motor vehicle accident caused by a limousine, or you were a pedestrian hit by a limo, your case may be handled differently than other auto accidents, because the limo is a commercial vehicle. There may be unique insurance coverage issues that need to be addressed. 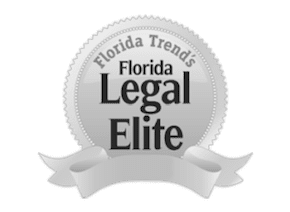 Our Orlando auto accident attorneys understand the nuances of different types of auto accident cases, so you can be confident in our ability to get results for you. Our auto injury lawyers also represent limo passengers who suffered injuries because of a driver’s negligence. When a limousine collides with another motor vehicle, or with anything else, the passengers in the back of the limo could suffer serious injuries. You have the right to take action against the limo driver and the limo company for failing to keep you safe from harm. We will also take action against another negligent driver if the limo driver was not at fault. Discuss your case with the Florida limousine accident attorneys at The Umansky Law Firm for a free consultation and case evaluation. We handle all personal injury cases on a contingency basis, which means that we do not collect attorneys’ fees unless we obtain compensation for you by way of settlement or verdict.